At home and in our offices, we are never not trying to find new ways to get a little more Gorilla Life into our lives, and in as many ways as possible. Can you blame us? It started in our breakfast smoothies and quickly moved into our afternoon tea. Now it’s your turn! Unleash that inner-mixologist and conjure up various mocktails that will benefit us and help us conquer our days. The jungle needs you! Spread your mixing mastery and send us your recipe at recipe@gorillalife.com. 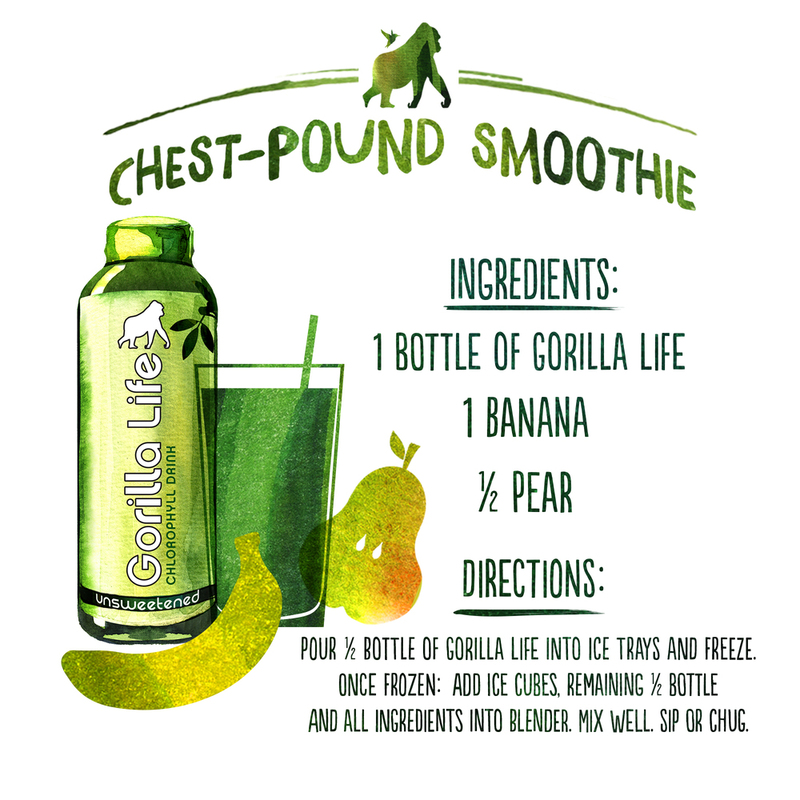 Once a month we’ll choose a chest-poundingly yummy “Recipe of the Month” and share your Gorilla Life recipe on our website with our community. You’ll also get your creative paws on a treasure of product. For one lucky mixologist, we’ll even make your recipe into a limited-edition coaster at the end of the year!